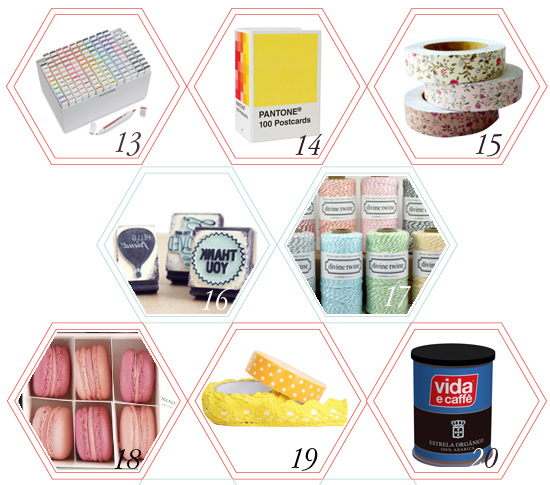 Ruby + Swallow: Must-haves this Birthday! 1. 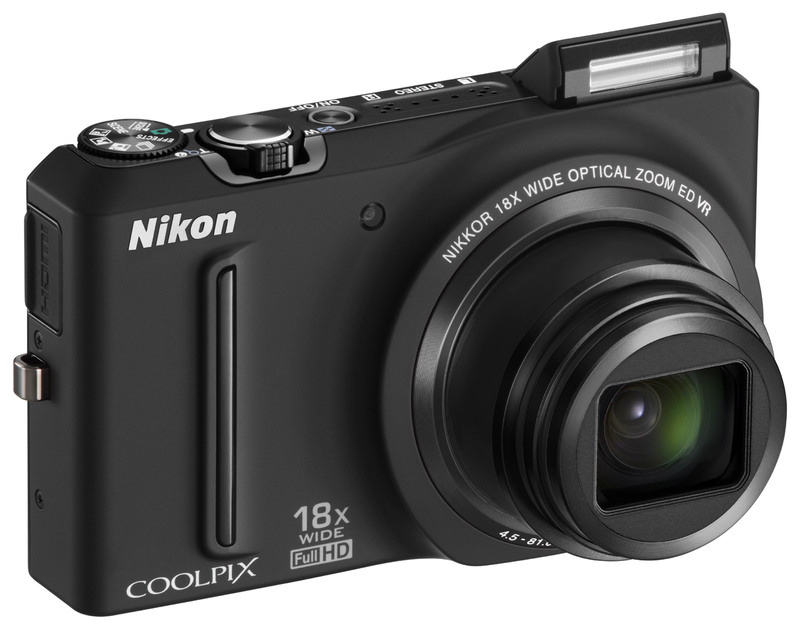 Nikon Coolpix S9100 - My camera is long into it's retirement age, so I need to trade it up. A good friend recommended this bad boy. It's slim, easy to carry around and shoots in HD. Pretty much all I need! And they just launched the upgrade of this bad boy yesterday - score! 2. iPod Nano - What was that I heard you say? You don't have an iPod!? Yes, yes, I know. Mine got stolen, so I really just need a replacement. And I love how compact this one is. 3. KitchenAid Artisan Stand Mixer - This is where the baking nerd comes out in me. I love baking and the idea of letting this guy do all the leg work is pure bliss. 4. 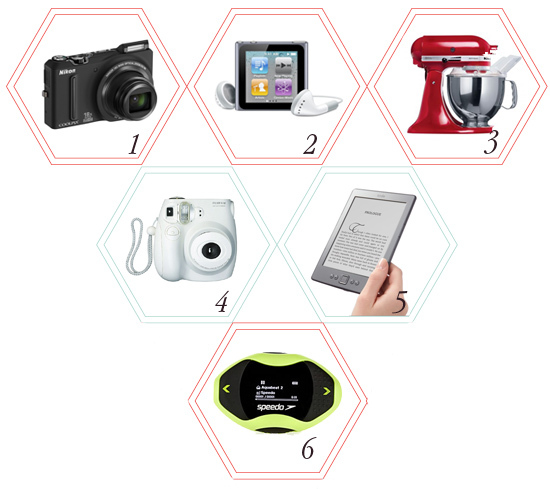 Fujifilm Instax Mini Camera - Who wouldn't want a cute little camera to carry around? And it prints pictures straight away - bonus! 5. Kindle Gift Voucher - My kindle has been by my side since the day I got it and a voucher to buy more books to fill it up with would always be a welcome gift. And these are great because you can email them to the recipient. 6. Speedo Aquabeat 2 MP3 Player - Now this is a little gem. Clip it onto the back of your swimming cap for training, or your bikini for a swim, and you have music streaming into your ears. I always wondered when something like this would be invented - it's a waterproof MP3 player and it's awesome! 7. Body Shop Honey Bronze Range - Anyone who knows me knows that I have a mild obsession with the Body Shop. I love all of their ranges, their make-up and the fact that they are ethical to animals and to the environment. This make-up range screams summer. I'll take one of each, please! 8. Missibaba Bird of Paradise Clutch - This Cape Town based brand makes me whoozy - in all the good ways. I absolutely adore ALL of their handbag ranges and really battled with which one to put on the list. They are beautiful, local and ... well, about out of my budget! 9. Bobbi Brown Ultimate Party Collection - If I'm not scouring the Body Shop for make-up, I'm dreaming about Bobbi Brown Cosmetics. This make-up is refined, good quality and works wonders. This collection of eye shadows and lip glosses would go a long way for me. 10. Michael Kors Blair Multi Function Glitz Watch - OK, so this is reaching - but it's beautiful and it's on my list! A girl can dream can't she? 11. Elie Saab Le Parfum - The closest I've come to this perfume is a magazine sample - and I fell in love with it. Romantic and pretty...divine! 12. Essie Nailpolish Cocktail Bling Collection I may sound like a snob, but I only buy Essie nailpolish. It costs a bit more, but it pays itself back in quality and a great range of colours. I'm loving their Cocktail Bling Collection, and with names like Bangle Jangle, Bobbing for Baubles and Brooch the Subject, who wouldn't? 13. Pantone Universe Twin Marker Set - Bear with me on this one as I know only designers would appreciate this marker pen set of Pantone colours. How cool??! But at the hefty price of around $400, we'll have to leave this one in the dream section! 14. Pantone Postcards - A box of 100 postcards, each in a different Pantone colour. This is another one for the designers and something I'd love to own. 15. Decorative Fabric Tape - This is any crafters dream. Simple and easy to use, it's great for decorating gifts and making cards, both things that I love to do! 16. Rubber Stamps from the Wunderlust - Stamps another great addition to my card making arsenal. These from The Wunderlust are great because you can customise and choose which stamps you want. 17. Baker's Twine - These are all the rage in crafters circles (haha, I actually just said that) and they're great for adding some fun to your gifts. 18. Daniela's Macaroons - It's no secret that I love macaroons, and since The Macaroon Cafe opened up on Florida Road, I can't get enough! Yum! 19. Decorative Lace Tape - OK, I know I'm going a bit crazy with the whole tape thing - but its lacy and its yellow and its pretty. I want it! 20. Vida Estrela Decaf Organic Coffee Occasionally I love a great cup of coffee. But it has to be caffeine free or I go into a shaking frenzy and start to feel ill. I've always been a fan of Vida coffee, and their Estrela Decaf is welcome into my kitchen any day! Alight folks, that's my ideal birthday list! Hope you enjoyed taking a peek into my likes and wishes. What are some of your birthday wishes?